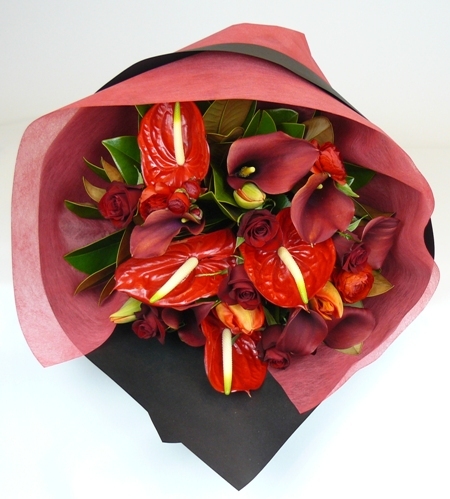 A dramatic and striking flower bouquet in bold shades of Reds. This beautiful bouquet is roll wrapped in thick paper, tied with ribbon and completed with a card. The flowers may differ to picture subject to seasonal availability but your blooms will be selected from rich red tones.